Re: Is Bunny losing it? WE DONT KNOW THE STORY BEHIND THE MUSIC. Edited 1 time(s). Last edit at 12/08/2011 03:58AM by IYah_Trod. Bunny lost it already. Seems like he's trying to get a likkle bit back. This happens with Jamaican Rastas, yes? Things other people would consider extreme or off the wall is standard fare for some Rastas...bigging up Hitler, Confederate flags, aliens, conspiracy, etc. Just some of my own observations based on personal experience. Edited 1 time(s). Last edit at 12/08/2011 07:26PM by J_72. Poisoning is a common form of revenge in Jamaica. Of course, I can't say what is true or not, but my feeling is Bunny is not crazy and there is probably some truth, if not full reality in his interpretations of what happened. Bunny has wanted to get this story out for a long time. He once was working on a book with Roger Steffens called Old Firesticks. There was a falling out. Since that time, Bunny has considered various avenues to tell his story. yes he is sharp and actually more on point than mr.blackwell in the interview, who you can tell has this very vague way of summarizing events/occurances, while bunny has a direct setting(i.e. '...on the roof', etc.) bunny is well phrased spoken and concise with his relation of the events and although the 100 million pound payday seems a little far-off in my opinion, he has undoubtedly been wronged as so many have in these corrupt runnings. interesting to me the response from this board (ganja psychosis, 'bunny losing it') because the man does not 'type' or phrase his linguistics in the accepted 'western' syntax he is discounted as a raving lunatic. i have no doubt that there was & has been some corrupt runnings between mr.blackwell and mrs.marley. it seems that their two respective dynasties have been the only to reap real sustainable wealth from the works of bm&w over the last 40 years and the rest have been muscled out of the way via the 'law-suit' and straight wicked dealings. Noticed your point myself, more than once over the years. The former Miz Anderson's malfeasance regarding the estate of her late husband are legendary(AND DOCUMENTED), & has been discussed here quite often. I've always been amazed there are still defenders of Rita at this late date...outside of those on her payroll, that is. Regarding Sista Irie's comments: my impression was the Bunny bio being done by Mr. Steffens and Leroy Pierson(both traveled to JA in pursuit of research commissioned by Bunny, by the way) came to an abrupt halt after the agreement reached in the late 90s between him, Rita, & Blackwell. Draw your own conclusions; now it seems Mr. Livingstone is again feeling muscled out, and is now saying again what he had been heard to say in the 90s, when he suddenly cease any comments in this regard, or criticism regarding Bob's widow. By the by, how many of y'all ever heard his fine 45, 'False Beneficiaries'?? It was available for about a day or so---I believe it only had a single 45 run, and then was never heard from again. Edited 1 time(s). Last edit at 12/09/2011 01:46AM by papa ray. i noticed bunny and sizzla have the same cadence. Edited 1 time(s). Last edit at 12/09/2011 03:22AM by bigvein. I can only say Roger Steffens was not a fan of Rita in any capacity. He once told me the background of what happened with the book, however, I have since forgotten and would not fill in details without his permission. My experience though is Roger is more than happy to discuss it. Again, though, there are competing agendas for many of the people who are in the mix. I would love to see Bunny at SNWMF. I saw him at RALAK (Rastafarian Ancient Living Arts and Kulcha) two years ago with Damian and Stephen. The show was truly out of this world. Bunny helped financially support the festival held in Black Mountain North Carolina because of it's focus on Rastafari heritage. It was small and included an all day "reasoning" in a small barn on the festival grounds. Bunny was tighter than tight at Sierra in 2007, and his band more than ably backed the great Bob Andy that year. 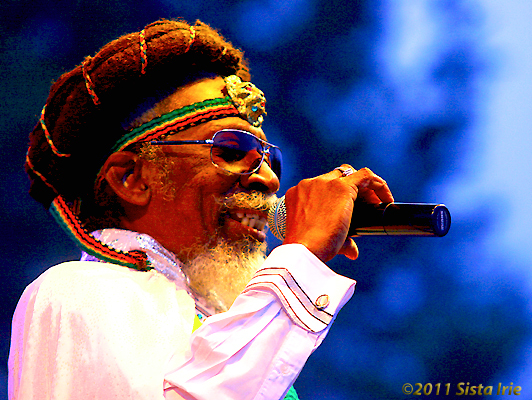 The Bunny Wailer performance in 2007 was my first day at SNWMF...and i haven't missed a day since. I'd love to see him there again, his band was on fire that night. Well Mr. PeaceMakya, what does him being a womanizer have to do with him getting his money, Bob was also a womanizer, in case you forgot. With all due respect most our so called rasta artist is giving the rastaman a bad name. I only see a couple of man out there trodding a righteous path. The man did his work he should get paid cause without him and the other wailers you wouldnt even be typing on this forum right now. No disrespect bless. => ps: reread previous post ... we ain't talking about simple womanizing ... do you get it? 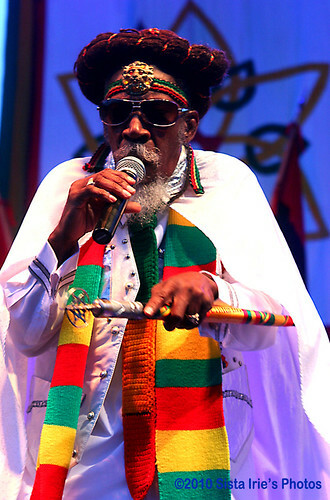 i in no way condone any molester overt or covert & have never been a proponent of bunny wailer. 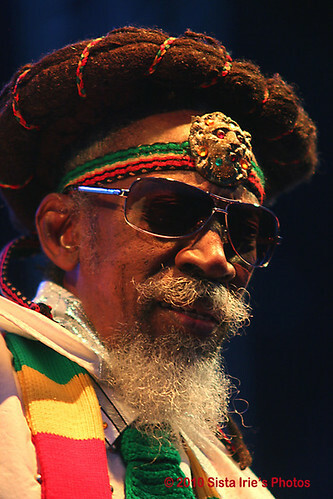 in fact the root of this goes beyond bunny wailer and is being obfuscated by his own image & reputation. the root of what was brought out whether delusional fabrication or truth is the evil that goes on in the business. & i am sure it is still running things to this day. he is not the first nor the last to bring forward some serious allegations regarding the integrity of the man mr.blackwell. check ijahman levi song regarding blackwell. the rat race is over. its about survival. I wasn't surprised that Bunny or any roots reggae artist could be bottled at Sting. It is not a roots show and consciousness does (did) really have much of a place at that show. The Wailer camp has been sadly fragmented for most of the years since the demise of Bob and Peter. Various fans and music associates picked their stories and sides. Whose to really know what is correct and not and how can anyone judge without that knowledge. This is the first time I heard of Bunny and young women so I can't even give an opinion on that. What I do know- is Bob, Bunny, Peter and most of the Wailers have contributed to the success of reggae. I say look for the goodness in this history and let ray ray be ray ray. And from my perspective (not disrespecting anyone else's opinion), there has always been a faction of 'reggae' music that represented gangster mentality. What remains historically legitimate is the foundation roots and conscious singers. The others seem to be a flame in the night. Until the youth are brought up to respect the conscious message of life, the gangsta mentality will remain a part of the industry. *Sis Irie- The Wailer camp has been sadly fragmented for most of the years since the demise of Bob and Peter. I would say this is true for many strong personalities and their "inner circle". *Sis Irie- The others seem to be a flame in the night. "That's the definition of commitment- patience and persistence. People who are like fireworks, popping off right and left with lots of sound and sizzle, can capture a crowd, capture a lot of attention for a time, but I have to ask, where will they be at the end? Some battles are long and hard, and you have to have staying power. Firecrackers go off in a flash, then leave nothing but ashes. I prefer a pilot light- the flame is nothing fancy, but once it is lit, it doesn't go out. It burns steadily and it burns forever." wonder what his feelings are for the original composers to the song ?